The Great Books Foundation Blog: In the Basement of the Ivory Tower: Confessions of an Accidental Academic, by Professor X. 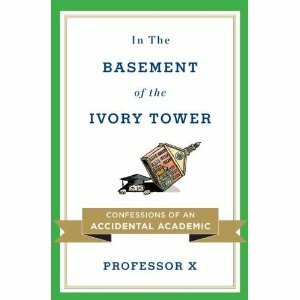 In the Basement of the Ivory Tower: Confessions of an Accidental Academic, by Professor X.
It’s now rare for a book to be published anonymously, but it’s clear why Professor X feels the need to cloak his identity. In the Basement of the Ivory Tower is an expansion of his June 2008 article for the Atlantic, in which he described his travails as an adjunct English instructor at a “college of last resort.” His article generated a torrent of comments, many of them angry rebuttals of his claims about student capacity or attacks on his teaching methods. (He devotes a portion of one chapter, “Do Your Job, Professor!,” to discussing some of these comments.) While it’s possible to question some of Professor X’s conclusions, his basic points about many college students’ lack of preparation and many colleges’ financial incentives for admitting them anyway are indisputable, making his book essential reading for anyone interested in American education today. Colleges wish to maintain strict academic standards while admitting everyone who wants to get in, a pool that includes a great many questionable learners. The result is a system rife with contradiction. 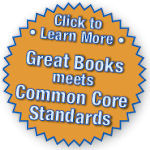 The conflict between open admissions and basic standards can never be reconciled. Something has got to give. Professor X recognizes the unpopularity of this conclusion, noting that it seems “Dickensian” to say that some students should not go to college, or that some professions should not require it. But his descriptions of the college experience his students actually have—and what it costs—amply demonstrate the need to face squarely the questions of who should go to college and why. Many students attending nonselective colleges graduate with crippling debt loads, and many never finish degrees, as Professor X points out. Increasingly classes are taught by adjunct instructors who are paid a flat fee per course, with no benefits and no possibility of tenure. “We are paid by the college to perform the dirty work that no one else wants to do, the wrenching, draining, sorrowful business of teaching and failing the unprepared who often don’t even know they are unprepared.” He can’t stay angry at his students for not turning in papers or for turning in papers that are almost unreadable, because he feels too sorry for them: they are caught in a system that they didn’t create and are navigating with difficulty. It is chiefly the colleges he blames for creating a myth of universal opportunity that draws students into classes they may not be able to pass and into degree programs they may not be able to complete. In the Basement of the Ivory Tower is a far from perfect book; too often it reads like the expansion of an article that it is, with repetition and digression padding his essential points. Some readers will be impatient with Professor X’s descriptions of his family’s economic woes, but he makes a persuasive case that buying into the housing bubble was much like buying into the “college bubble” currently being embraced by educational institutions and their students. When Professor X describes actual classroom interactions, the book is riveting. Actual samples of student writing would help the book immeasurably, since it’s hard to evaluate his reactions to students’ work without getting to see any of that work. It’s understandable that he wants to preserve his students’ privacy, but the absence of concrete examples weakens his argument. The most dispiriting encounter Professor X relates concerns a student who has turned in a paper obviously lifted verbatim from an online source. When he confronts the student, the clearly angry student paces the room and repeatedly says how “disappointed” he is. Finally, he explains that he did buy the paper, but “I bought it off a friend of mine. I paid him to write it for me. But I didn’t pay for some old piece of junk that was out there, floating around on the Internet.” How is an instructor to help such students, who lack any understanding of the demands and rewards of real academic work? This question thrums beneath every sentence of In the Basement of the Ivory Tower. This book will undoubtedly enrage some institutions of higher learning and spur refutations from instructors who have found effective ways of reaching college students who arrive with educational deficits. But In the Basement of the Ivory Tower establishes beyond a reasonable doubt that the current mantra of “college for everyone” is dangerously misguided. Ideally, the book will spur a substantive discussion not only of American higher education’s aims and practices, but also of the academic preparation of many American high school students. Though Professor X doesn’t explicitly say so, perhaps it’s because a high school diploma has so little value as a demonstration of competence that employers now push so hard for some college credit from prospective employees, even for jobs that historically have not required a college education. Exactly! Thank you, Nancy Carr! And Professor X! As a recently tenured college professor, I can't agree more with both what Nancy Carr and Professor X highlight: the current system of admission and education (and hiring) at all but the most selective colleges is untenable in the long run. Thanks for calling such an important book to our attention! Well said! We so need to make people work for their degree! It's vitally important to interrogate (on a regular basis) the goals of higher education. Thanks for a riveting analysis or an important book that is certainly being discussed widely. Education has been turned into an industry, destroying the american dream. The primary goal of going to college is to land a decently paying job with a piece a paper they give you. too many jobs require degrees when instead they could create a program themselves (like an internship) where workers are trained. Knowledge is gained in the field, not a 3 hour lecture hall. How do you think we got where we are today? The best knowledge is gained from hands on experiences. Nobody who has made an impact on society as a whole did so in a lecture hall. They did so by taking a risk, experimenting, and simply put, being a go-getter. As a college student myself I often find myself asking these frustrating question. What am I going to do with this piece of paper they give me? Wave it in somebody's face showing them I'm a "competent" individual and can memorize facts? Further more, the gap between high school and college is enormous. High School simply doesn't prepare you for college, I felt my life wasted away, my ambition poured down the drain through public education. However, in college my ambition slowly is growing again and I come to grips with reality. How we define education is a complete joke. As my ambition grows I feel the need inside of me to simply get up and go do something, not sit inside a classroom and whither my life and desire to learn away.